Photo: Tachileik seen from Mae Sai, Thailand. Set opposite the Thai border town of Mai Sai, for many years Tachileik was one of the only overland border crossings between Thailand and Burma open (albeit in a crippled fashion) to foreigners in Thailand. It was one of the most popular spots to do a "visa run" – popping over to get another 30-day visa (or 14, depending on nationality) from Thailand. This popularity gave the town an affluence that you don’t see in many other border towns between Thailand and Burma. Today it’s a hectic and modern town with round-the-clock electricity. Thai baht is the de facto currency, everyone is able to speak Thai and Thai telephone services work everywhere, making Tachileik quite unlike any other town in Burma. While it’s easy to think of Tachileik as a Thai Burma crossing, it’s worth remembering that the Chinese frontier is also not all that far away via a decent road through Kengtung and Mongla. So although most of the local population is of Shan origin, you’ll find a diverse ethnic mix, including Indian traders in the border market and ethnic minorities in the local markets. 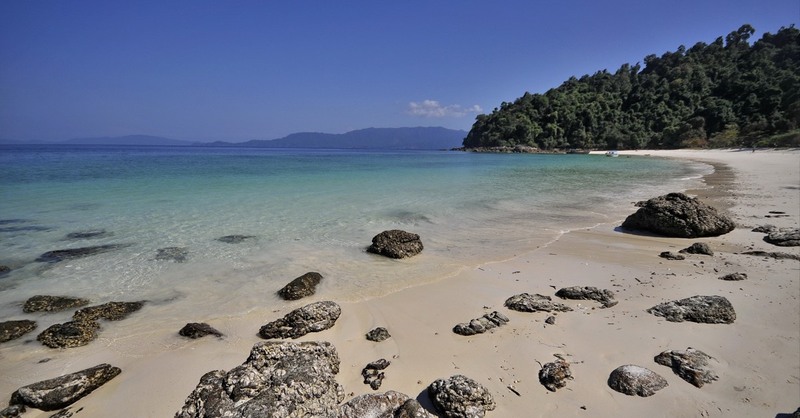 While there is considerable potential for tourism in the area surrounding Tachileik, regulations governing access to the surrounds will need to change before this is realised. Given other dramatic shifts in the country, these changes may come quickly -- or not. Until then, there’s not a lot to see, though a brief stay can be fun in a hectic kind of way. Visitors are drawn to the vast labyrinth-like border market; a couple of temples of moderate interest and the local market, and there are also plenty of eateries and numerous passable hotels within a short walk of the bridge. Be wary of some of the goods in the border market; many, including alcohol and cigarettes, are actually pirated goods and not genuinely what they say on the box. If you are looking to stock up on duty-free, then the large duty-free shop in the middle of the bridge between the two immigration posts is your best bet, though note Thai immigration can be very thorough! Though plenty of hills and minority villages lie in the surrounding region, trekking in Tachileik is not as yet permitted. In fact without special permission you will be pretty much limited to the town itself; Pasa Wildlife Reserve to the east to town remains off limits for the time being. Your tuk tuk or taxi driver in Tachileik will certainly know what is and what isn’t allowed at the time of your visit. Despite the relative affluence that has come with it being a border town, Tachileik isn’t actually a very big centre but the town is growing fast, and you’ll see evidence of construction across town. Reached from Thailand via a short walk across the bridge over the Mae Sai River, the town runs east-west between a range of low hills and the river. Having crossed the bridge you’ll find yourself in the centre of town with the market lying immediately to your right. The short road leading from the bridge makes a T-junction with the town’s main street and many of the restaurants and hotels are along this road. The low hills Tachileik backs onto are home to a couple of temples while a right turn takes you some two kilometres to the bus station and main local market. The Mae Sai-Tachileik border crossing is congested, hectic and often confusing. Heaps of Thai tourists cross over for bargains in the huge border market, Burmese flock over the border bridge in the opposite direction with all kinds of goods to trade, minibuses disgorge loads of Chiang Mai expats on visa runs, trekkers try to arrange permits to get to Kengtung and now, with the official opening of the land border crossing, foreign tourists make their way to the airport and onwards to Inle Lake, Mandalay or Yangon. As far as tourists go there are several options at the border; extend a Thai visa and do a quick turnaround, visit Tachileik market for a while then return to Thailand, stay overnight in the town, travel to Kengtung or head to the airport and other destinations in Burma. If you’re just looking to extend your stay in Thailand then you will need to get stamped out on the Thai side then pay 500 baht for a temporary Burma entry pass. (Dollars no longer accepted.) You then cross over the road, obtain a Burmese exit stamp and return to Thai immigration where they will add a 15 or 30 day stamp to your passport. (Though since it counts from the day of issue it’s really only 14 days.) You can only obtain visas this way only three times and each time a number is written next to the passport stamp, after which you will have to leave Thailand and head for a Thai consulate in a neighbouring country. If you already have number three in your passport you will not be allowed to cross the border. Follow the same procedure as above though note that Burmese immigration will keep your passport for the duration of your stay in Tachileik. If you have a Thai multiple-entry visa already then you will receive an entry stamp dated to the expiration of your visa. As with the above and you are free to wander around Tachileik town, though when you leave to return to Thailand, you will be charged 10,000 kyat per person per day that you have stayed in Tachileik. If you do not have a tourist visa but want to travel onwards to Kengtung (and it is the only destination you can travel onwards to with a temporary entry pass), then a guide is obligatory. If you have not already organised a guide through a Kengtung hotel or trekking agent – and that is by far the easier option – then the Ministry of Tourism office next to Burmese immigration will assign you a guide at 500 baht per day per person. Obviously quality is going to vary considerably and the guide may or may not be competent for trekking so you may find yourself still requiring a local guide in Kengtung too. If you are in possession of a Burmese tourist visa, obtained from a consulate or agent, then you can dispense with the temporary pass and obligatory guide. You are in theory free to travel to Kengtung and employ a trekking guide on arrival though the Ministry may still try to push a compulsory guide on you anyway. This could simply depend upon their humour or perceived security concerns at the time of travel. Either way you can’t really argue with them and if you are considering trekking in Kengtung the best solution is still to arrange a guide to meet you at the border. If you do have a tourist visa then you can stay as long as you wish in Tachileik, can travel onwards from the airport to any destination in Burma and can exit by any recognised land border crossing or international airport that you wish. At the time of writing it is not permitted to travel overland to Taunggyi. If you have entered Burma by an alternative entry point and are exiting at Tachileik you will automatically receive a 15-day or 30-day visa free of charge unless you have a Thai visa in advance whereupon you will get a 30- or 60-day stamp depending on the Thai tourist visa you have been issued. You can only officially travel overland in one direction from Tachileik and that’s north to Kengtung. This is a 160 kilometre road taking approximately four to five hours and gets more and more scenic the closer you get to Kengtung. The road winds its way along a narrow and picturesque river valley so there are plenty of bends but the surface is good. A turn off to the east not far out of Tachileik leads to the casinos and hotels on the Burmese side of the ’Golden Triangle’ opposite Thailand’s Sob Ruak and local police are unlikely to have any objections should you wish to travel there. No westwards overland travel is currently permitted and if you want to go to Taunggyi then you would have to fly to Heho first. Plenty of local buses ply the road between Tachileik and Kengtung and cost around 10,000 kyat (tourist rate) though there are several options to choose from. ’Express’ services charge more and claim less travelling time and basically the more expensive the seat then the less number of times the bus is going to stop. Allow around five hours for the trip. Public minibus services take more like four hours costing 12,000 kyat, though price can vary depending upon the number of customers. Hiring a taxi costs between 60 and 100,000 kyat depending again upon number of passengers but also your bargaining skills; it takes 3 and half hours or so. Bear in mind that these taxi services are sometimes driven by the certifiably insane and you’ll probably not be able to stop for photos along the way. There are plenty of taxi touts waiting at the bridge and market area, and remember if you are travelling with an imposed guide then you are responsible for their fares as well. In some cases, a simpler option is to arrange with your hotel in Kengtung to send a car or minibus to meet you, though this will be a more expensive option. There are, at time of writing, three checkpoints between the border and Kengtung and these can be quite strict. You will need to show your temporary pass and your Ministry of Tourism documentation obtained at the border for travel to Kengtung. Buses will make stops at coffee shops in one or both of the towns on the road, most likely Tatlyn and Mong Pyek – the former of which is mostly new having suffered severe damage in a recent earthquake. Both have simple rice and noodle dishes available. If you’re travelling by private transport you can also stop in any of the roadside villages -- mostly Lahu and Akha -- though as these villages are situated close to the road don’t expect any traditional costumes. There are also trekking possibilities off this road which local authorities seem okay about -- see our Kengtung section for details. Note that the bus station in Tachileik is a 100 baht tuk tuk fare or 20-minute walk from the bridge while in Kengtung the bus stops are mostly near the morning market but vary according to which bus company is used. With the Burmese domestic flight, hop on-hop off system, you can in theory buy a ticket to any airport in Burma and there are regular daily flights in and out of Tachileik. Travelling to Heho or Yangon may require two or three stops though and it seems that Mandalay is usually the default first destination. KBZ, Asia Wings and Air Bagan all advertise flights in and out of Tachileik but check their sites for up to date information. Flights to Kengtung cost around $50 for foreigners and take 25 minutes. Planning on riding a scooter in Tachileik? Please read this. 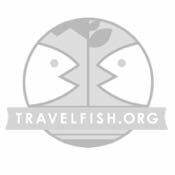 Use the above map to find specific destinations in and around Tachileik which are listed on Travelfish. Bed icons indicate a guesthouse, hostel or hotel, the knife and fork is an eatery or bar and the four-way circular thingy marks sights, attractions and other points of interest. Click on any icon for a short pop-up and a direct link to the page for that spot. If you are in the area, use the teardrop icon near the top left to show your position on the map (you'll need to allow position sharing for this last feature to work).